Those of us who believe in an afterlife know that once we’ve shuffled off this mortal coil, we’ll be called to account for our life’s actions. Not surprisingly, one who has accomplished much in life often has much to account for as well. You have to think that, when the time comes, Ted Turner will be one of these folks. Turner’s greatest accomplishment in life, at least as far as television goes, has to be the creation of Turner Classic Movies, one of the greatest of all cable channels (as well as being one of the few niche networks to remain true to its original calling). And then—you knew this had to be coming—there’s CNN. When it first started, critics referred to it as “Chicken Noodle News,” but in time it proved that it had real chops when it came to covering news as it happened, without viewers having to wait for a recap on the evening news. The idea of a channel devoted to nothing but news, 24 hours a day and seven days a week, was something that had been discussed since the germination of cable television as an idea. No longer would news be confined to the dimensions of a half-hour, with the length of stories often dictated by commercial placement. Now there could be an emphasis on longer, more in-depth features that covered the subtleties of complicated stories, as well as coverage of items that often received scant mention by Cronkite, Brokaw, et al. Neither would such a network be a slave to ratings, as were the broadcast nets. What could possibly go wrong? A few weeks ago I asked readers to suggest which television series would have changed history the most had it not existed, and while you can’t exactly classify an entire network as a “series,” I think one could argue that things might be quite different today without CNN. Oh sure, in retrospect we can say that the creation of an all-news network was obvious, a slam dunk; but it was far from a sure thing when Turner came up with the idea all those years ago. It could be that the overnight news programs tried by a couple of the broadcast networks might well have convinced people that this was the expanded news the public needed. Yes, the 9/11 attacks might have prompted calls for greater news coverage, but then television did quite well in covering events such as the assassination of Kennedy and the resignation of Nixon without having to go 24/7 thereafter. And we might have been spared the national embarrassment that was the O.J. Simpson trial in the process. The best you can say is that someone probably would have come up with the cable news idea sooner or later, but there’s no assurance that it would have been someone with the drive and deep pockets of a Ted Turner, someone who was willing and could afford to wait out the hard times until the network found a stable footing. 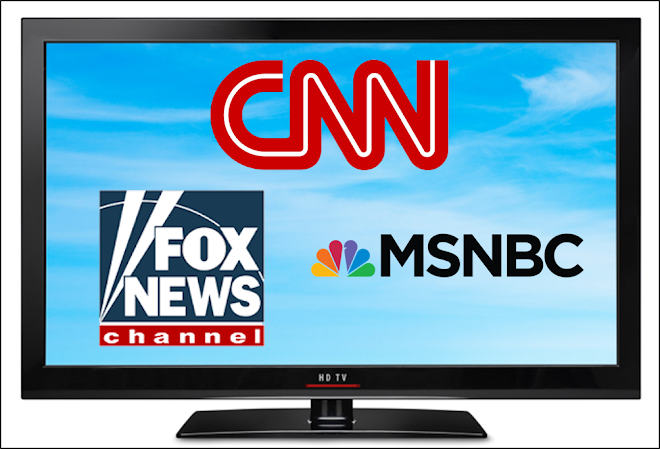 Would Stanley Hubbard’s All News Channel, for example, have necessarily spawned Fox News and MSNBC? As is the case with Tootsie Roll Pops, the world will never know. One doesn’t have to be a mind-reader to know that this scenario is not at all what television’s pioneers envisioned when they spoke glowingly of the possibilities for an all-news network. I think what we have today would have sickened most of them, and probably caused them to despair of television ever getting this news thing right. I used to watch cable news frequently; now, I watch it hardly at all. And I like news; think of how those who aren’t news junkies must feel about it. CNN, Fox, and MSNBC have moved from covering the news to creating it, from reporting on our world to shaping it, from telling us how it is to lecturing us on how they want it to be, all the while using their resources to make it happen. No idea, no matter how good, is immune from being screwed up by human beings. Unfortunately, however, the downfall of CNN can be attributed more to partisanship than sensationalism. In a perfect world we'd have FOX and msnbc providing different perspectives on the news, and CNN calling it straight down the middle. But objectivity is now an endangered species.